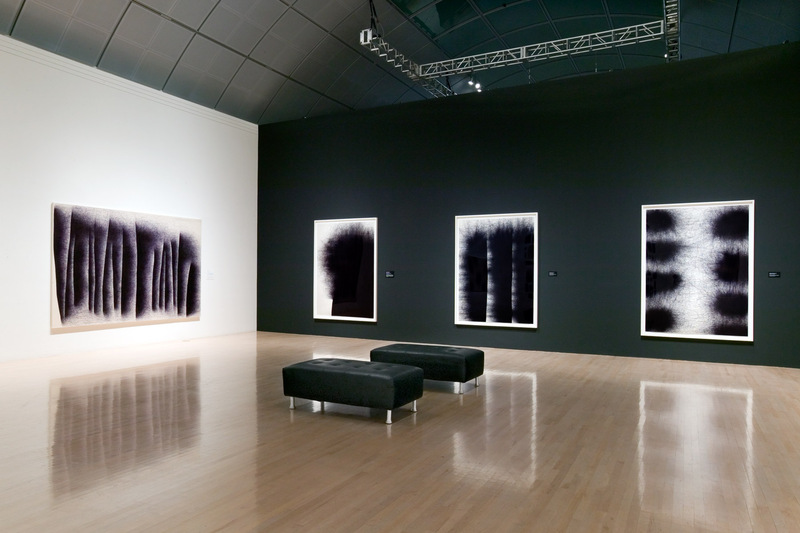 Installation view of IL LEE: Ballpoint Abstractions at the San Jose Museum of Art, 2007. © 2007 Sue Tallon Photography; Courtesy of the San Jose Museum of Art. New York, NY (February 28, 2007) – Art Projects International (API) is pleased to announce that IL LEE: Ballpoint Abstractions will be on view at the San Jose Museum of Art (SJMA) from March 11 to July 8, 2007. Organized by SJMA Senior Curator, JoAnne Northrup, this mid-career retrospective is Il Lee’s first solo museum exhibition in the United States. Il Lee, a Korean-born New York based artist, is best known for his historically grounded dynamic work using ballpoint pen. The exhibition is the largest showing of Lee’s work to date and spans his career over the past three decades in New York City. The exhibition includes important large-scale ballpoint pen works on canvas and a generous selection of Lee’s signature works on paper. Featuring well over a hundred fifty works, the survey is an unparalleled opportunity to explore Lee’s practice and see many never before exhibited works. For those familiar with Il Lee, this survey will be eye-opening as the breadth of his energetic output is on full view; for those unfamiliar, it will be an astounding introduction. Displayed to great effect in SJMA’s expansive Central Skylight Gallery are Lee’s recent very large ballpoint pen on canvas pieces that can only be described as epic both in Lee’s pursuit of their creation and their impact on the viewer. Among the very large works are BK-002 (2006), BL-060 (2005), a twelve-foot wide blue ballpoint pen work on canvas that suggests the solid mass of a hill suspended above or dissolving into nothingness, and BL-071 (2005), a similarly massive work that offers up another motif common to Lee’s works on canvas and paper—a field of seemingly vibrating forms appears out of an expanse of markings. Works on paper, a host of additional ballpoint pen works on canvas, along with early non-ballpoint pen works in acrylic and oilstick, and other earlier smaller work show the evolution of his concerns and give a historical overview of his art. Highlighting the criticality of working on paper to Lee’s practice, a special installation of seventy-seven works on paper is grouped together on one wall. This grouping offers a rare opportunity for viewers to directly compare the disparate art resulting from Lee’s extensive experimentation with theme, surface and technique. To enable viewers get closer to Lee’s thinking and remarkable process, Lee’s studio will be recreated. 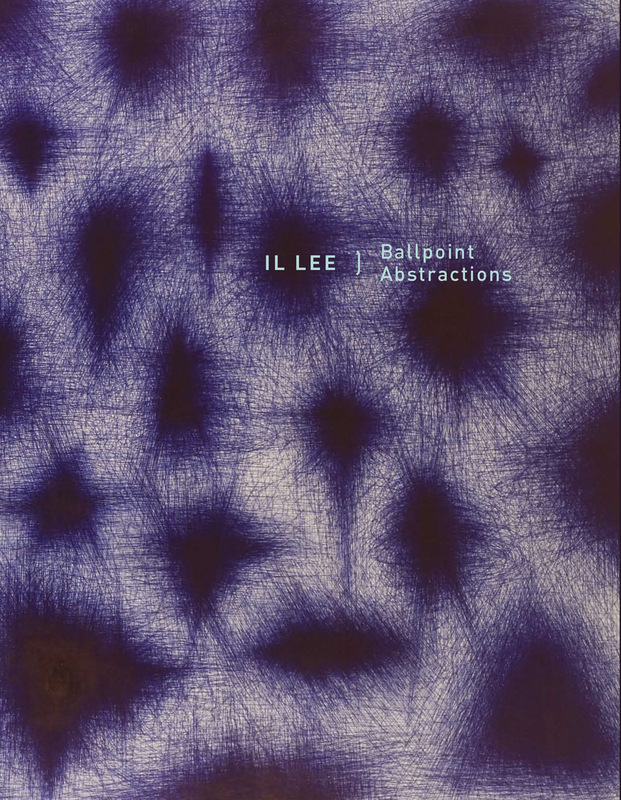 IL LEE: Ballpoint Abstractions finds a natural home at the San Jose Museum of Art, at the gateway to the Pacific Rim. Lee’s ballpoint pen work with its unorthodox media and distinctive style has a unique ability to appeal to audiences of diverse backgrounds. Lee’s diverse, international group of supporters, like SJMA and the Silicon Valley, have an eye for innovation and the courage of their convictions to support unusual, progressive, significant talent. As an immigrant from South Korea who has developed his art, and been an important innovator and contributor, in the United States, Il Lee fits right in with SJMA’s commitment to exploring the development of American art. SJMA hosted four collaborative exhibitions with the Whitney Museum of American Art—and as Willem de Kooning is a major presence in the Whitney collection as an immigrant from Europe who developed his craft in New York it is easy to understand SJMA as an ideal location for Il Lee’s survey. The Dutch artist’s journey is a 20th Century story, while Lee journeying across the Pacific, first to California, is most certainly a forerunner and standard bearer for artists of the turn of the 20th to the 21st Century—an immigrant artist from Asia whose extensive oeuvre of ahead-of-the-curve artworks has changed the cultural landscape from one hemisphere to the next. 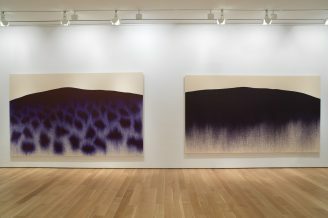 IL LEE: Ballpoint Abstractions is accompanied by a fully-illustrated catalogue with essays by Art in America critic Edward Leffingwell and SJMA Senior Curator JoAnne Northrup. Foreword written by Susan Landauer, SJMA Chief Curator.